Below you will find list of Top CBSE Schools in Howrah 2019, Best CBSE Board Schools in Howrah. Kendriya Vidyalaya Bamangachi was born in January 1986 and started functioning in the Eastern Railway Institute Hall at Bamangachi. 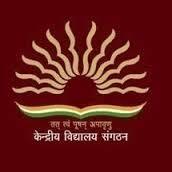 Kendriya Vidyalaya Satragachi is a Co-ed English medium school managed by the Kendriya Vidyalaya Sangathan. 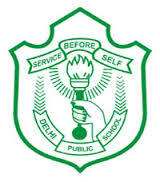 DPS Howrah is established under the aegis of Delhi Public School Society. Sudhir Memorial Instituteis affiliated to Central Board of Secondary Education, New Delhi and aims to enable the child to enquire intellectually and analytically and to practice moral goodness. Sasati Nahala Kantaldaha Abinash High School is affiliated to Central Board of Secondary Education (CBSE), New Delhi. AJ Model English Medium Institute is a school following the CBSE pattern. Mount Litera Zee School is an English medium co-educational day school established. Founded in the year 1992,Jawahar Navodaya Vidyalaya was established with the aim of giving quality education so that youngsters are motivated to excel in academics, skills and character. Established in the year 1989, Guru Nanak Public School is a co-educational, English medium day school, affiliated with the Central Board of Secondary Education (CBSE) and offers education from nursery through class XII. Asian International School is a coeducational day school affiliated with the Central Board of Secondary Education (CBSE).